BoLASEPaKO.com - a simple view on Singapore Soccer: Book Review: "Forza Italia"
I'm not sure should I start a new label that entitled "Book Review", having read one book on Japanese football weeks ago, I happened to come across another excellent book - FORZA ITALIA at Bishan Library, not that long ago. I picked up this book from the "dump box" where readers decided to "back out" their choice(s), I'm pretty sure they regretted for not reading this book by freelance journalist Paddy Agnew. 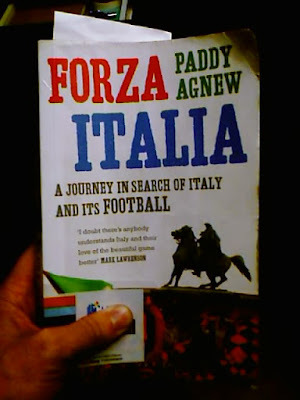 Written by Irishman Agnew, whom with his family been living in Italy for the past 20 odd years. In this book, Agnew detailed the rise and fall of Diego Maradona while playing for Napoli, how AC Milan was served as a launchpad that kicked start the political career of its owner Silvio Berlusconi.